Talent. You've either got it or you haven't.' Not true, actually. 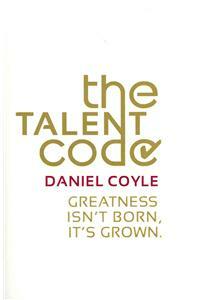 In The Talent Code, award-winning journalist Daniel Coyle draws on cutting-edge research to reveal that, far from being some abstract mystical power fixed at birth, ability really can be created and nurtured. In the process, he considers talent at work in venues as diverse as a music school in Dallas and a tennis academy near Moscow, to demostrate how the wiring of our brains can be transformed by the way we approach particular tasks. He explains what is really going on when apparently unremarkable people suddenly make a major leap forward. He reveals why some teaching methods are so much more effective than others. Above all, he shows how all of us can achieve our full potential if we set about training our brains in the right way.